Till the other day when I was caught off guard with media’s campaign on “Noble (peace prize) for Malala”, I wasn’t even aware of who Malala Yousafzai is or what her contribution is to have such overwhelming popular demand for Noble Peace prize for her. 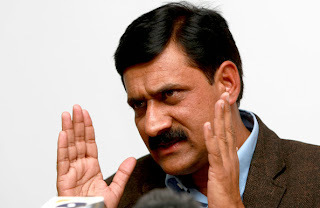 And on the very next day came the news that Ms. Yousafzai did not win the Nobel Prize. That went to the Organization for the Prohibition of ChemicalWeapons. 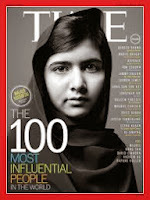 But after a week of intense news coverage, during which Malala released her memoir and won a prestigious European award for human rights, Ms. Yousafzai’s stature as a symbol of peace and bravery has been established across the world — everywhere, it seems, except at home ( ie Pakistan) – as reported in NYT dated Oct 11, 2013. I got extremely curious to know more about this courageous girl and have been going through web to more of her. I got to know about her fight and who she is (from western eye) by watching BBC documentary. And, I must confess- my reaction, with whatever little I have learnt about her and her drive, has been mixed. Who is Malala - Abdul Hai Kakar, a former BBC Urdu Service reporter and current RFE/RL Radio Mashaal broadcaster who helped bring Malala's message to the world's attention informs that in 2008, he was working for BBC and wanted to start a diary from Swat when the Taliban took control of the northwest Pakistan Swat Valley and had imposed a ban on girls' education. He wanted to give a human touch and first-hand eyewitness account of the conflict. This is when Malala Yousafzai's father who was running a school in the Swat Valley and his friend told him that Malala’s father offered that Malala could write this diary and that’s how it started. Fearing that anybody in Pakistan who speaks against the jihadi paradigm and mindset could be a target, Malala used the pseudonym “Gul Makki”. Kakar acknowledges that she was influenced by her father, obviously, because he was a political activist and he was trying to talk to her to tell her the environment. Her narratives were getting published during this meanwhile. She was shot in her head by Taliban in Oct 2012 (when she had turned 15 – ie an adult as per them) for “creating propaganda” and because “she emerged as a pivotal character in the media war against us.” She was taken to Birmingham, UK for treatment and that’s where she studies now. The western media loves her for her ‘fearless fight for right to education for girls’ in the Swat Valley and there was a very popular, well calculated media demand for a Noble peace prize for her. I have some basic questions however in my mind. It was her father who introduced her as the voice of Swat Valley when she wasn’t even 12 years. Wasn’t her father voicing his thoughts through her voice in her dairy? Is Pakistan that aweful for girl’s education? Is entire Swat Valley a place which still has a ban on girl’s education? Was the ban lifted because of the diaries of “Gul Makki” ? Has her ‘fight’ made any positive difference in the area? Here’s a case where she was airlifted to a safe haven and has been taking up her fight (not with the authorities against whom its meant ie Pakistani authorities) while addressing a battery of western journalists and forums (including UN, US and other such Western forums). I am a bit confused as to who is the target of her so-called ‘fight’ when she is not even present in the battle ground! Are there more Malala’s who feel the same way, think the same way, might have expressed their thoughts (about the right to girls education) in writing or with friends in Pakistan and whose voice didn’t get heard in BBC or western media because they weren’t “Gul Makki” of BBC? Are there more Malala’s who got shot and didn’t have the luxury of best of medical treatment in UK? Isn’t this a case where an ambitious father has used media’s (esp western) obsession with a girl child’s “fight for her right to education” very effectively – scenario where in the initial years, her diary and the thoughts therein were his and in the later part (when she was on her way to stardom), it’s a team of dedicated PR managers that she is what she is made out to be? 12. Mr Gordon Brown, former British Prime Minister is her handler. Without undermining her efforts (if it's really true the way media has projected), it really is a dangerous trend if most (or some) of what's mentioned above is true. While West's hatred for Taliban and any sort of restriction (on girl's education) is completely understandable, getting it manifested this way by creating a creature from Pashtum tribe who speaks their language and from their land, I feel, can only cater to their wishful thinking without actually making a real difference in the field - the battleground. I am also amazed at an absolute clarity of thoughts and her expression power...wonder whether a child of that age and with that background can do on her own? And in the process, my respect for the selection committee ( to select Noble prize) from among various entries has gone up tremendously. Why should I be cynical especially if she represents what's wrong with Taliban's diktat banning girls education in the Swat Valley? Absolutely, I shouldn't be . My limited point has been whether her 'fight' has yielded any results? whether girl education is restored in the Swat Valley and whether it's because of her drive and not because it happened as a natural corollary of Army freeing the Valley? She really deserves all the adulation and media frenzy if her fight has made a difference in the area she claims her fame from. No point attending awards and delivering speeches when she merely is a symbol of fight against gender equity. I also wish all Malala's of the Swat and elsewhere who continue to suffer and languish in the darkness and have raised /wish to raise their voice are accorded the same high priority treatment, in Birmingham or elsewhere in the West...why pick an easy case and make a heroine target! She has ambitions of becoming the Prime Minister of Pakistan. But, she shouldn't forget - It's ultimately the people of Pakistan and not the western media or media management that will make her realise her dreams! She seems as far from Pakistan (reality) as one can be while hogging all adulations for her bravery in Swat - Where are you Malala?? Sir, It is the question perhaps in every mind. .Lot of exercise done to collect and compile the information and to present personal feelings courageously. A thought provoking and non biased article. I totally agree with you on this. 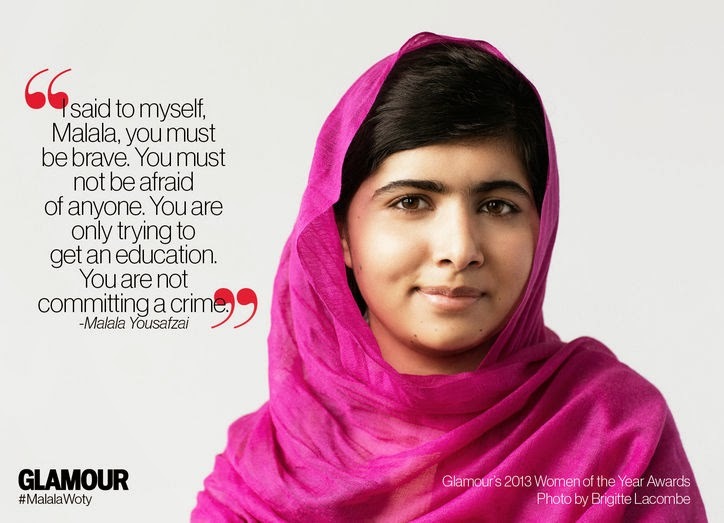 And it is fascinating to know that there is a battery of people - politicians, PR agencies and other celebrities - working behind Malala, to ensure that she continues to get the world's attention. But what if she would have been given a Nobel, just like Obama got, literally on a platter, would then there would have been any chance of a self initiated or orchestrated spring or colour movement in Swat Valley, and these people behind Malala embarked on a more treacherous journey? True, Malala is just a medium. But the message is loud and valid - Girl child education. I think Malala is over hyped, just because she was saved by the West. Her story is more about how the East treats 'their own' girls, vs how the West treats "the daughters of the East". Malala's story is a pat on the back of the West, by the West, and for the World. Imagine, had she NOT been saved by the West, would she be a heroine? Imagine if she was killed, with nothing for the West to extract from her, would she be a Heroine? I always suspected all awards and certificates, but after Malala, my suspicion against such Awards and certificates, including Noble, has gone to great heights. All is a charade.